Street fighter and billionaire casino owner Jamie Packer has called on the Turnbull Government to amend Australia’s industrial relations laws to allow employers to physically fight their employees. Packer’s call to arms follows a run in he had with a security guard at his Crown Casino. 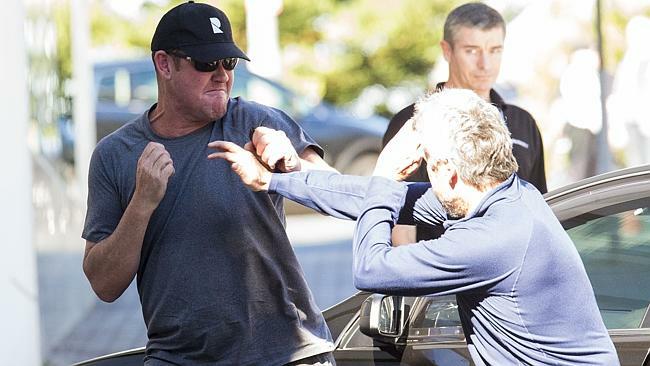 When the guard failed to recognise Packer, the casino owner verbally abused the man and demanded he be fired. The Turnbull Government could not be reached for comment. However, a spokesperson for NSW Premier Mike Baird indicated that the NSW Government would set up a task force to investigate the proposal put forward by NSW’s favourite son Jamie Packer. Packers call to arms has also received strong backing from film star and smoker Russell Crowe. If it isn’t tru it should be. Mr Packer should have his Casino operators license revoked as it is clear he is not of sound mind nor emotional restraint to be in control of such an organization.